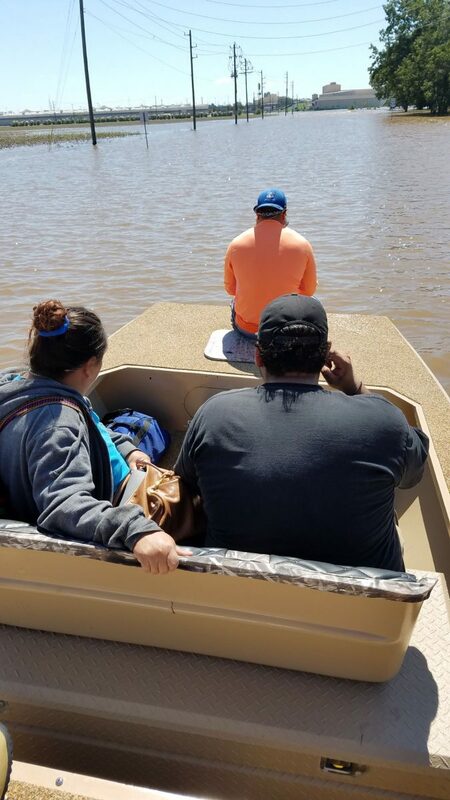 DONNA — They didn’t know where they were going or what exactly they were going to do, but a group of 12 people drove their five boats to areas devastated by Hurricane Harvey to help whoever they could. 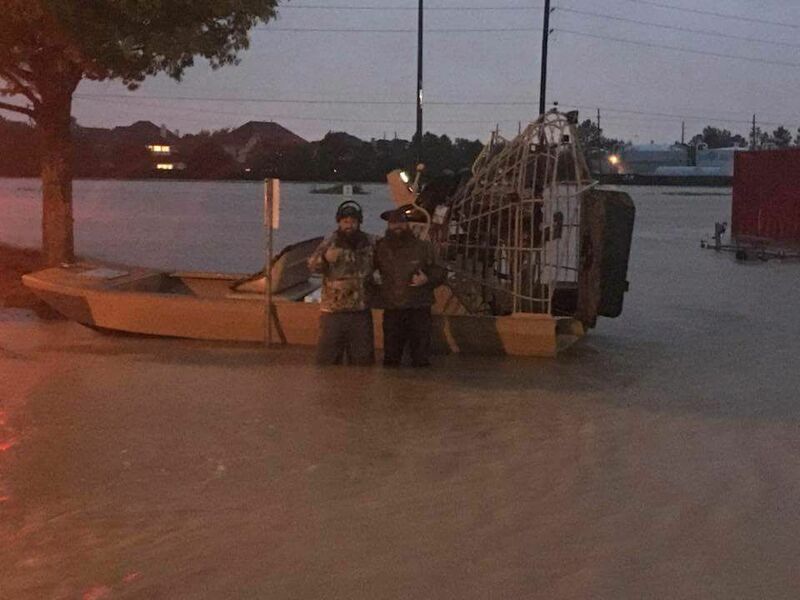 “They put everything together themselves on the boats to take and literally these guys hopped on the truck and left,” said Cleve Ford, owner of Dargel Boats, a boat manufacturer in Donna. One of the staffers, a boat captain living in Port Aransas, lost his business to the devastating and town had lost electricity and their water tower. “We took my truck and one of our box trailers up full of supplies and generators just to get him back up and running,” Ford said, referring to a group of men who knew each other from the boating community. 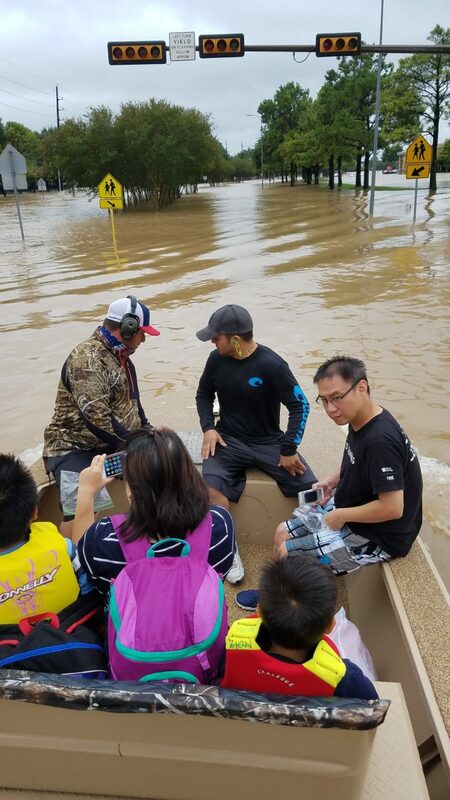 Volunteers from the Valley help evacuate residents from flooded neighborhoods in the Houston area. On their way up, they heard Houston Mayor Sylvester Turner pleading for help on the radio and they immediately started getting a team together to up there. They took off Monday while Ford stayed behind to man the control center. When the group arrived in the Katy area just after noon, they found water up to the car doors. They had to back up their trucks to trees, tie ropes to boats and pull them off the trailer because the water wasn’t deep enough to float them right off of the trailer. “We kind of stumbled on that area and we backed the trucks as far as we could so we could get the boats off and just started working,” said Joseph Swoboda who was part of that group. They worked for two days running through that area and transported almost 200 people on the first day alone from a school that had been initially set up people as a shelter. “We worked the two days and our team pulled 1,000 people out of the water,” he said. When it got dark, though, the team decided to retire for the night because they weren’t familiar with the area and didn’t want to end up having to be rescued themselves. From the Valley, Ford was able to coordinate with Joe Diaz, the manager of an RV station who opened up six new travel trailers for them to sleep in. People then began donating to them, dropping off food, blankets and towels so they could shower. The next day they got back to work but struggled to find people to help. Then around 2 p.m., they noticed that there were hardly any boats in the area and a police officer notified them that FEMA was coming in and telling volunteers to leave. On Wednesday, they stopped at other towns to help but were turned away from all of them. A spokesman for FEMA, however, said they don’t manage volunteers. That, he said, is the responsibility of the local government or the volunteer organization that is responsible for that particular area that may require training before allowing people to help. “If anybody’s been turned away, I’m sorry to hear that but there are processes and protocols that have to be adhered to for the safety of the volunteers,” said William Lindsey, a FEMA media relations specialist. One of the places the men were turned away from, which was the most frustrating for Swoboda, was Wharton, where people were calling for help through an app called Zello. Many people were willing to help and by the time they were being turned away, they said they had 100 people and 15 boats from the Valley that were there trying to help. Shad Gutierrez, another member of that group, said it was clear people aren’t as divided as he thinks the media portrays. During that time they witnessed families, kids and people who had to be floated to boats on air mattresses because they had just had surgery or were too old to walk through the water. There was even one that was taken with a wheelchair. One of the hardest things to see for Ian Schill, another of their group, was a man who was rescued with his children and couldn’t find the words to speak. It was important for them to focus on getting the people to safety, allowing it to become a routine.